Eastern Europe is coming to prominence for its wines as much as for everything else since the end of Soviet Communism and the subsequent entry to the EU of many Eastern European states. Much of Eastern Europe is unfortunately too cold to produce wine, so when wine is referred to as Eastern European it primarily infers wine from the extreme South Eastern end of Europe up to Central Eastern Europe: Romania and Georgia in the first instance; Bulgaria, Hungary and the Ukraine in the latter. Latvia, Estonia, Lithuania and Poland are better known for their beers (although Poland has two small wine growing regions). 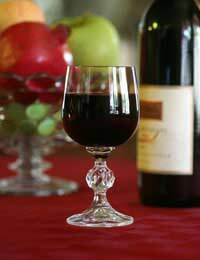 Wine is thought to have first been developed in what is now called Georgia as much 9000 years ago. In light of this, it follows that wine would have been introduced to neighbouring countries long before they were introduced to Western Europe. However, due to the enforced separation of Eastern Europe and Western Europe for much of the 20th Century, and the economic difficulties that have been entailed since then, little is known of Eastern European produce in Britain, bar a lingering memory of some popular and cheap Hungarian varieties, such as Bulls Blood, which graced parties in the 80’s. This is changing however and is set to continue changing as more tourists and re-settlers move between East and West. The emergence of wine across Eastern Europe naturally did not reflect a Roman influence: it preceded the Roman Empire and in any case, the Romans, like many British people these days, never explored that far East! Because of the separate development of Eastern European wine, it is naturally quite different to Western European and New World wine. Many grapes are virtually unknown outside Eastern Europe, such as ‘Rkatsiteli’, a grape that produces acidy, dry whites, not unlike Gerwurtztraminer. Some grapes are indigenous to particular countries. This causes problems for anyone wanting to explore Eastern European wine. The only sensible advice to follow is to settle on a country and set about exploring their local wine and cuisine first hand. Fortunately, with the massive desire that these countries have to enter world markets and impress upon wealthier Western Europeans, locals are likely to be a great source of information. Some countries do produce well known varieties, the benefit of this being that their wines will be cheaper than the produce of their more established counterparts. The Ukraine, for example, produces Chardonnay, Cabernet Sauvignon, Merlot and Pinot Noir alongside indigenous grapes. Travel companys offer Eastern European wine tours, ideally suited to anyone wishing to explore. Otherwise, many supermarkets stock Hungarian and Bulgarian wine, which is an ideal place to start on the way to branching further out East.It is likely in the coming years that as a means of asserting their growing economic status, countries from the new extended EU will do their best rival the old wine nations of the West. Of course, national pride being what it is, this is likely to blow the world wine market wide open – which is no bad thing. It will very possibly accord with a reduction in prices and an improvement in overall quality. It will also mean that those countries with an assured reputation will have to work a little harder!